In a labour market that has become increasingly competitive and discerning, the MSc Management qualification is designed to enhance the career prospects and skills of those already holding managerial positions in both the public and private sectors. Successful completion of the Postgraduate Diploma in Management Studies (DMS), CIMA, or an equivalent professional qualification. All applications will be considered individually. This challenging specialist Masters in Management is offered by Leicester Business School for DMS graduates and professionals who already possess a comprehensive knowledge of business issues and who would like to enhance their career in business management. The overall aim of the programme is to provide participants with an advanced knowledge of business and management principles, through both practical application and theory. It will explore the cross-functional character of management problems and develop an understanding of the organisation in total. Participants will enhance their understanding of strategy formulation, evaluation and implementation, increase their knowledge and improve their performance as a manager. Participants will study two 15 credit modules - Critical Perspectives in Global Management and Research Methodology - followed by a dissertation (60 credits). 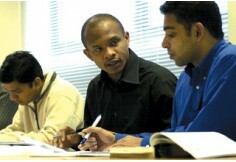 The dissertation, a detailed piece of written research on a business/management topic of the participant's choice, is supported throughout by a nominated personal tutor. 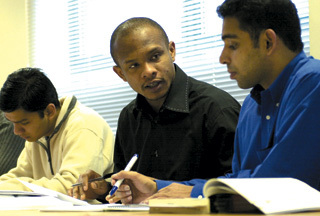 The taught modules are shared with other postgraduate students studying programmes such as MSc International Business and Management and International Business and Finance. 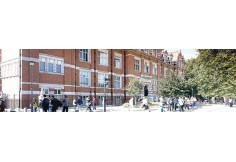 The programme is based in the Leicester Business School Graduate Centre, a modern and professional environment dedicated to postgraduate study and research in business-related subjects. This is located on the Leicester City Campus, just 10 minutes walk from the city centre.